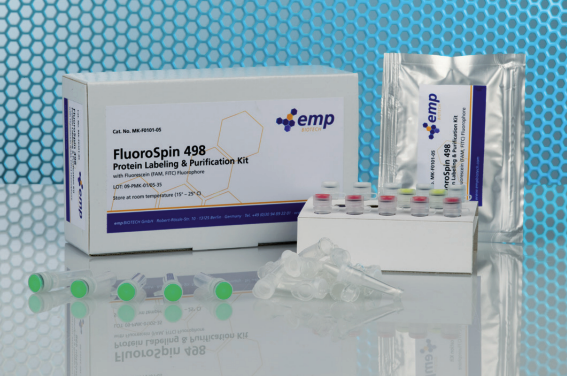 The FluoroSpin 490Protein Labeling & Purification Kit is designed for the labeling and purification of proteins to form protein-dye conjugates having fluorescence-excitation and fluorescence-emission maxima at around 489 nm and 552 nm, respectively. 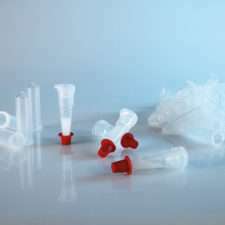 FluoroSpin 490 Protein Labeling & Purification Kit is designed for the labeling of proteins with molecular weights greater than 25 kD (in particular antibodies), using a reactive succinimidyl-ester of DY-490 from DYOMICS. The conjugates result from the formation of a stable covalent amide linkage. The protein-dye conjugates have fluorescence-excitation and fluorescence-emission maxima at around 489 nm and 552 nm, respectively. 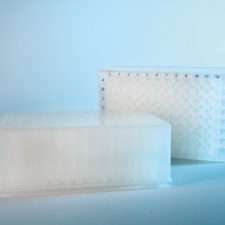 Up to 15 nmol of protein can be labeled using one vial (50 nmol) of the reactive FluoroSpin 490 dye. To get a quick start with IgG, use the Optimized Protocol for Labeling 1 mg of IgG or the Optimized Protocol for Labeling 100 µg of IgG (i.e. monoclonal antibodies).